Once again, the powers that be in Scotland have been unable to prevent a Brexit that exposes their fundamental weakness. In football - as in life - they are vulnerable to developments south of the border which are out of their control. 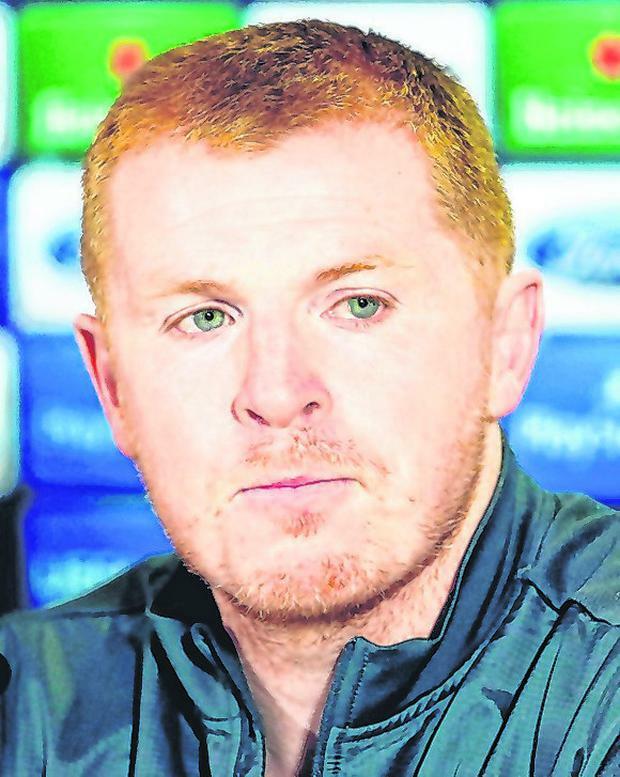 While interim boss Neil Lennon and his new first-team coach Damien Duff might beg to differ, Brendan Rodgers' decision to depart Celtic for Leicester is a punch to the gut of the Scottish champions and their perception of their own standing within the game. There is no positive slant on a manager leaving at the business end of another treble challenge to join a side placed 12th in the Premier League with little to play for this side of the summer. Celtic are trying to make history by landing a third treble on the trot and the bigger picture is to drive for ten Scottish titles in a row and sicken their Glasgow rivals Rangers. 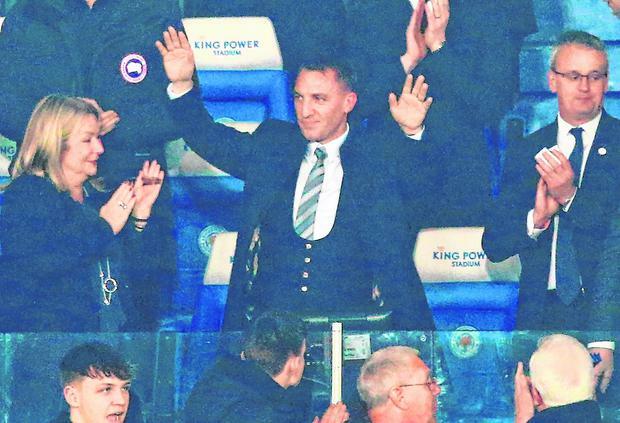 Yet Rodgers' decision illustrates that such an achievement is small fry in comparison with the temptation of a peloton placing in England's top flight. It wasn't always that way. Back in 2000, a manager who had grown up in Northern Ireland supporting Celtic considered the Parkhead hot-seat a step-up from keeping Leicester in the same league as the big boys. Pretty much everybody did. Consider these words from 'The Guardian' as Martin O'Neill readied himself to join Celtic having previously spurned offers from Everton and Leeds to stay at Filbert Street. "A move to Scotland would not only provide him with the opportunity he has long craved to make his mark at the highest level," read the report. "It would also guarantee him financial security." O'Neill's brief was to knock Rangers off their perch and great days in Europe followed too. But managers with ambition and the desire to be paid the big bucks would now view Leicester as the place to be. Rodgers has proved it, even though he came in and spoke similarly to O'Neill about how taking this gig was achieving a dream. The difference was that he was out of work when he accepted it. It feels like betrayal to sections of Celtic fans because of the belief he restored. They went toe to toe with Manchester City in the winter of 2016, and some Hoops fans revelled in that, pointing to it as evidence of a Premier League hype machine. But that's where Rodgers ultimately wanted to be. It opens Scottish football up to a kicking that is slightly unfair. Granted, it doesn't help itself, with the curse of sectarian chanting - highlighted last week by Kilmarnock manager Steve Clarke - illustrating that a passionate ground is only a flashpoint or two away from becoming a cesspit. For the main protagonists, especially the managers of the Glasgow clubs, the rancour can be draining. To the outside world, it portrays an unattractive image. Still, there's much to admire about the football industry of a country with just over five million people. Attendances are up there with the best in Europe if you judge it on a per capita basis. This is in spite of Celtic's boring dominance and the fact that the international team's last major tournament appearance was in 1998. Football remains the centrepiece of the national discussion. Media coverage of the English game largely revolves around the big guns and is secondary to the focus on local matters. That's why the prospect of their main man leaving for a club such as Leicester is a blow to morale because they wouldn't register on the radar. Ultimately, money talks. The figures don't lie. Sky Sports' new deal to gain exclusive rights for Scottish football is worth £160m over five seasons, a 20pc increase on the previous deal with Sky and BT and a step in the right direction after the Setanta disaster of the late 2000s - the broadcaster hit financial problems that left the clubs in bother and the value of rights took a hit. However, the £160m pales in comparison to the £595m that English Football League clubs will rake in over the same period. There's more of them but it remains a noticeable gulf. The Premier League figures are on another planet. Sky and BT's most recent arrangement consisted of a £4bn spend over just three seasons - and that's before you factor in the lucrative overseas rights. In this context, European riches have been vital for Celtic because it's the only way to try and generate revenue that could remotely compare with the weakest sides in England's elite structure. Rodgers felt he wasn't receiving the funds to make waves in Europe and his frustration was evident last summer in their failed attempt to progress to the Champions League group stages for a third successive year. That was the beginning of the end of this road for the 46-year-old. Celtic was once viewed as the ideal final destination. Now, it's just another stop on a journey to a better place.